The campaign to unseat Congressman John Kline may have failed, but that was kind of the point - to show how hard it is to unseat an incumbent. So rather than back down, in the next season of Real Time we're going to take on some challenges that are far more daunting than Flip A District. Bill Maher has a New Rule for the citizens of Minnesota’s 2nd district. Visit www.FlipADistrict.com for more info. Bill Maher talks to Kal Penn about Real Time’s “Flip A District” campaign to un-elect Minnesota Congressman John Kline. Bill Maher hosts a live, non-televised Real Time panel discussion in Minnesota’s 2nd Congressional District. The event took place on October 7, 2014, and focused on the voting record of Rep. John Kline. It featured panelists Matt Taibbi, Katie Kieffer, Mayor Betsy Hodges, Steve Sviggum, Ana Marie Cox and John Rouleau. Help Real Time #FlipADistrict at FlipADistrict.com! Filmmaker and Real Time Real Reporter Alexandra Pelosidocuments Bill Maher’s recent visit to Minnesota’s 2nd Congressional District. Maher was in Northfield on October 7, 2014 to host a non-televised panel discussion about Rep. John Kline’s voting record. Help Real Time #FlipADistrict at FlipADistrict.com! Student Debt Crisis Co-Founder/Executive Director Natalia Abrams joins Real Time’s Miles Leicher backstage to discuss America’s student loan problem. Bill Maher heads to Northfield, Minnesota on Tuesday, October 7th to lead a live panel discussion in Rep. John Kline’s district. Get more information at FlipADistrict.com. Tell your friends and neighbors in Minnesota’s 2nd district that Rep. John Kline needs to be flipped! Get a sign at FlipADistrict.com, then download, print and share online to help spread the word. Bill Maher and OurTime.org co-founder Matthew Segal discuss Congressman John Kline’s support of the for-profit education industry. Watch the full interview anytime on HBO GO. The people have spoken and Bill Maher agrees: John Kline from Minnesota's 2nd District has got to go! Help boot America's lamest congressman out of office! The last loser in the loony bin known as our “Flippable Four” is none other than Rep. Mike Coffman from Colorado’s 6th district! Watch Bill Maher put him on notice and peer into his political past at FlipADistrict.com. The latest, lamest congressman is a congresswoman! 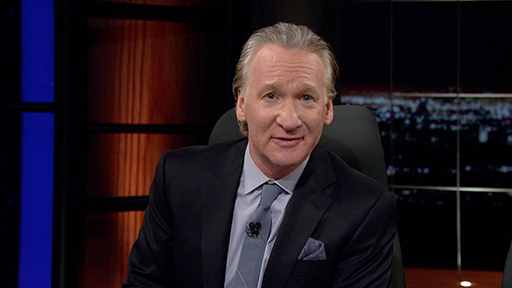 Watch Bill Maher name North Carolina’s 2nd District Rep. Renee Ellmers to the Flippable Four. In Friday’s “Flip a District” segment, Bill Maher announced that Congressman Blake Farenthold from Texas’ 27th district would join Minnesota Rep. John Kline in the finals. For more on why Farenthold deserves a good flipping, visit FlipADistrict.com! There are only two spots left, so make your voice heard using #FlipADistrict! Get in on that sweet Flip a District action on our newly unveiled website, flipadistrict.com.